With summer just around the corner, everyone is getting ready to host parties, picnics, and family reunions. While pool and beach parties are enough to refresh the kids from the summer sun, the grown-ups can indulge in a few cocktails that have been proven perfect for those summer days. Below are five of the most popular summertime adult-only drinks, with a few surprising twists to make your party stand out from the rest! While it’s true that margaritas may just have the biggest following, especially in the summer, we cannot deny that flavored margaritas are slowly becoming more popular. Undeniably, the watermelon margarita has been popping up in more than just a few places around restaurants and the web, and it’s time this summer cocktail made its way to your summer bash. Frozen or on the rocks, this tequila-based cocktail uses fresh watermelon, triple sec, sugar, and lime juice to mix up the perfect combination of sweet and tangy. Sugar around the rim instead of salt adds to the flavor, though do not be afraid to keep the salt for a slightly different spin on the taste. Got kids at the party? Switch out the tequila and opt for lemon-lime soda instead, skip the salt or sugar on the rim, and add fresh watermelon slices for extra servings of fruit! This summer staple is a must-have at any get-together. 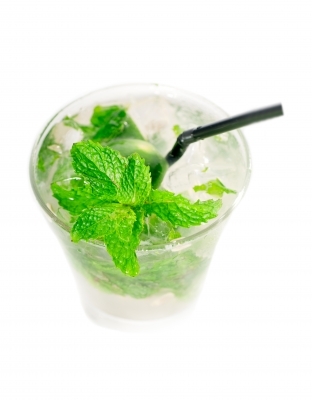 The classic recipe calls for rum, mint, lime juice, sugar, and club soda. It is definitely refreshing for those hot summer days, and a favorite any time of the year! Change it up during the summer months by switching the mint out and adding raspberries. Got a sweet tooth? Ditch the club soda and add a lemon-lime soda instead. Leave out the rum for a kid-friendly recipe and cut down the calories by leaving out the extra scoop of sugar when substituting the soda. Lemon Drops are popular among both the cocktails and shots menus, but the lemon drop martini has to be an all-time favorite summer option thanks to the triple sec and superfine sugar. Mixed with lemon juice and vodka, these can be made as sweet or as sour as your palette prefers! Pour a little more of the lemon juice for that extra pucker, or balance it out with an extra scoop of superfine sugar if that sour kick just isn’t for you. Either way, this is sure to refresh! Put a spin on the usual red wine sangrias by opting for a lighter white instead, and keep it summery by adding seltzer and berries. 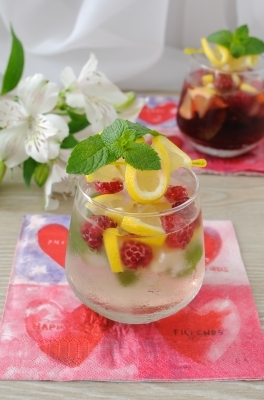 A favorite twist on the usual sangria recipe calls for lemons, oranges, strawberries, and peaches, but raspberries are also a good option if the other berry doesn’t suit your taste. Leave out the citrus, or make it the focus of the cocktail. The options are endless, and the final product is up to you! This is by far the most customizable summer drink. A tip for larger parties: make several batches of the white wine and seltzer mix, and add various combinations of fruits in each so your guests can pick their favorite! Rum, blue Curacao, pineapple juice, cream of coconut, pineapple, and cherries. While it may seem like an overwhelming combination, these ingredients create one of the tastiest cocktails this side of the big island. Try it blended with crushed ice, or on the rocks for a lighter taste. Pineapple chunks and maraschino cherries are the perfect toppings for this blue cocktail that bring you right to the waters of Hawaii! The white wine sangria looks like the perfect drink to enjoy on the patio in the evening while watching the kids play outdoors. I’ll have to try it soon.